Eynesbury ensures that students who elect to study in Adelaide take full advantage of the opportunities that the city has to offer. Our focus is to provide all students assistance with the transition into Adelaide and greater integration with all local and international students. Our aim is to increase the number of opportunities for students to participate in community activities and events, and provide links for newly arriving students to meet with established students. Eynesbury arranges a broad range of activities for students both on and off campus. Our BBQ’s and bushwalking activities are popular as they provide students with the opportunities to relax and meet others. Past events include: Chocolate BBQ, Glenelg Beach Trip, Karaoke, Ramadan Iftar, Origami and Hot Chocolate Afternoon, Aussie BBQ, Bushwalking at Belair National Park, Hallet Cove Conservation Park Boardwalk and City Bike rides. Students’ input and requests are welcome, enabling the Eynesbury Student Social Club Committee to continue arranging exciting events where students can make friends and get to know Adelaide. Study Adelaide organises many sporting and social activities for international students in Adelaide. Popular activities include; The Lord Mayor’s Welcome Party for International Students, Dundee’s Wildlife Park, Twenty20 Cricket and BBQ Lunch, Day Tours, Learn to Surf and free tickets to soccer and Australian Rules Football games. Students can join in a range of UniSA and the University of Adelaide sporting and social clubs, a great way to develop a network of friends and become involved in the community. Basketball Buddies, a variety of soccer clubs and other informal student groups have developed to suit students who don’t wish to commit to a full sporting program. Students can join a local community or sporting club near to their home with the assistance of the Student Experience Coordinator. Students can access a broad range of day tours and weekend trips as available throughout the year. Popular trips have included: Monarto Zoo Safari, Murray River Boat Cruise, Adelaide Hills Tour including Strawberry picking, chocolate Factory visit, Koala holding, Outback Tours, Sea Kayaking and Dolphin Tours. Those who join our Student Leadership Program benefit from our training modules by gaining the skills and confidence to facilitate student focus groups and forums. You also become a great point of reference for all international students.  Our forums provide the opportunity for students to speak about their experiences and make suggestions on how to improve the transition in to Adelaide for new students. Many student friendships are formed through this program and students gain the satisfaction and recognition they deserve from Eynesbury. A Student Leadership Program certificate is issued to participants who complete the full program. Job Search/Job Interview Skills Workshops are scheduled frequently to assist those seeking part-time employment. On completion of a workshop, the Student Experience Coordinator can assist students to complete their resume and provide guidance regarding job sources. In addition to our in-house volunteering opportunities, students can venture out into the broader community to enhance their real Adelaide experience by contributing to the community and a range of non-profit organizations through regularly scheduled activities or events volunteering in the breaks. Additional benefits of volunteering include greater exposure to Australian workplace culture, local experiences and a chance to contribute and further discover and develop their interests and skills. Students can keep up to date with events and activities by joining the Eynesbury Facebook site, viewing regular email information, checking the notice boards and meeting with the Student Experience Coordinator on campus. The Student Experience Coordinator can assist student with adapting to the local way of life by supporting students to find out local information such as places of worship or how to apply for a driver’s licence.